Yemen’s Houthi rebels tested a new rocket last Thursday, marking the fourth new projectile they unveiled this year. Dubbed the Somoud, or “steadfastness,” the projectile’s launch was broadcast late last week across Arab and Iranian media. While observers were quick to point fingers at Tehran, based on its established track record of arming the Houthis, the rebels themselves are developing their own rocket capabilities, and the Somoud may be one of them. According to official Iranian media, the Somoud is 4 meters long, 555 millimeters in diameter, and can reportedly travel 38 kilometers while carrying a 300-kilogram conventional warhead. However, the Somoud is more of a crude weapon than has been reported. Indeed, it lacks a guidance system and is therefore a rocket, not a missile. Moreover, when describing the Somoud, some articles have erroneously used a picture of the Tochka, a single-stage solid-fueled short range ballistic missile (SRBM). While the Houthis possess (and have used) the Soviet-made SRBM, the Somoud falls far short of its size, range, and capability. A closer look reveals that the Somoud resembles the Houthis’ Zelzal-3 (“earthquake”) rocket, which first appeared in Yemen this summer. Based on a recent flight-test video, the Somoud seems to share the Zelzal-3’s short body and single conical warhead, albeit with minor differences in the shape of its fins and nozzle. This raises questions as to whether the Somoud is an attempt to introduce older munitions under a new name and with a fresh coat of paint. Whether the Somoud is new or not, the Houthis remain lethal despite a coalition blockade intended to prevent Iranian arms from reaching Yemen. However, some still appear to be getting through. Secretary of State John Kerry stated last month that the U.S. was “deeply troubled by … missiles that had come from Iran that are being positioned on the Saudi border.” It is unclear which specific types of missiles he was referencing. To date, the documented Iranian missiles used by the Houthis in Yemen include Konkurs and Toofan anti-tank missiles. Indeed, coalition forces interdicted a shipment from Iran to Yemen in September 2015 containing those weapons. The Houthis’ firing of an anti-ship missile at a UAE logistics vessel near the Bab al-Mandeb strait earlier this week further raises additional concerns over whether Iran is transferring its existing asymmetric naval capabilities to its proxy on the Red Sea. Reports indicate that the weapon used was likely either a C-802 or C-801 anti-ship missile. The latter was purchased by the Yemeni Navy prior to the current civil war. 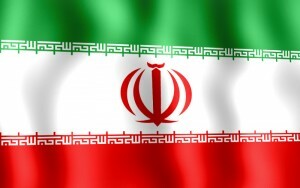 Iran received the former from China, reverse-engineered it, and has equipped Hezbollah with the projectile. In short, Iran is attempting to enhance the quantity and quality of its proxy armies’ rockets and missiles. But the lawlessness of Yemen, along with the abundance of old Soviet and North Korean weapons, makes it easy for the Houthis to construct rockets like the Somoud. 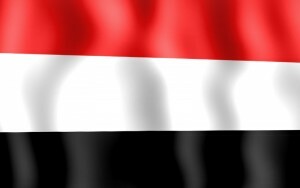 Thus, the Houthis’ ability to maintain the stalemate against the Saudi-led coalition may depend more on their own “steadfastness” than any munitions carrying that name.